I don't post too many breakfast recipes here on A Squared because my typical breakfast routine is a little boring. 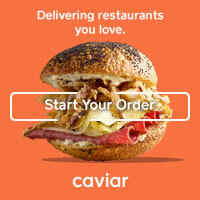 I love a hot bowl of oatmeal or a cold bowl of granola or Kashi with fresh fruit and that's usually my 'go to.' Occasionally though-- and especially at the end of the week when I have a lot of ripe leftover produce-- I like to make a big breakfast smoothies. Smoothies often get a bad rap for being unhealthy food disguised as healthy, which can be true if you're hitting up one of those chain smoothie bars. I totally believe that if you make one at home and you know what's going into it, a smoothie can be a nutrient-packed breakfast. 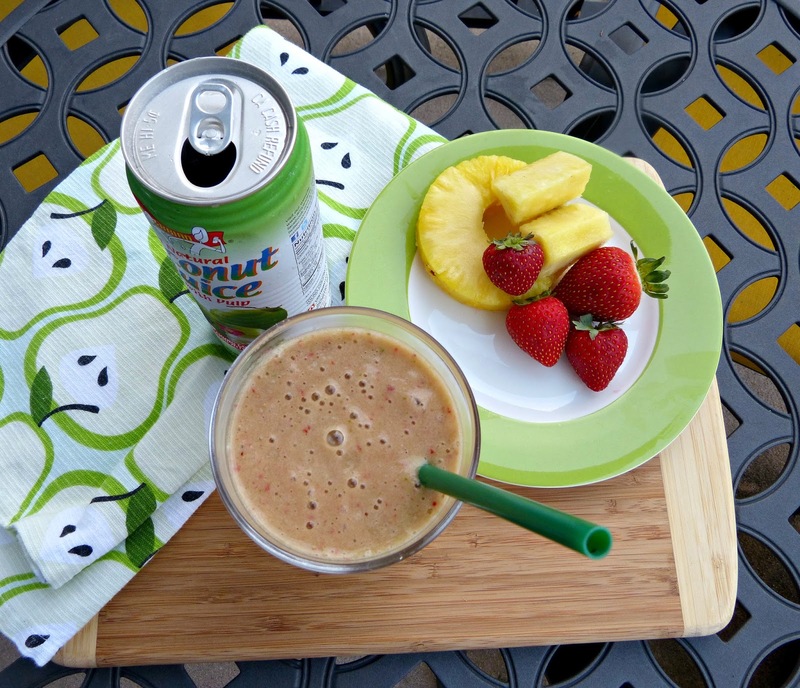 This tropical breakfast smoothie is the perfect example. Fresh fruit and superfood kale are blended up with pulpy coconut water (which is super hydrating and full of potassium) and an almond/coconut milk blend make for a power-packed smoothie. The combination of fresh pineapple and coconut milk and water give this smoothie a distinctly tropical flavor. The frozen banana helps to add sweetness and to thicken up the smoothie. For this smoothie, I used Amy & Brian's Coconut Juice, a 100% natural coconut water from young Thai coconuts. 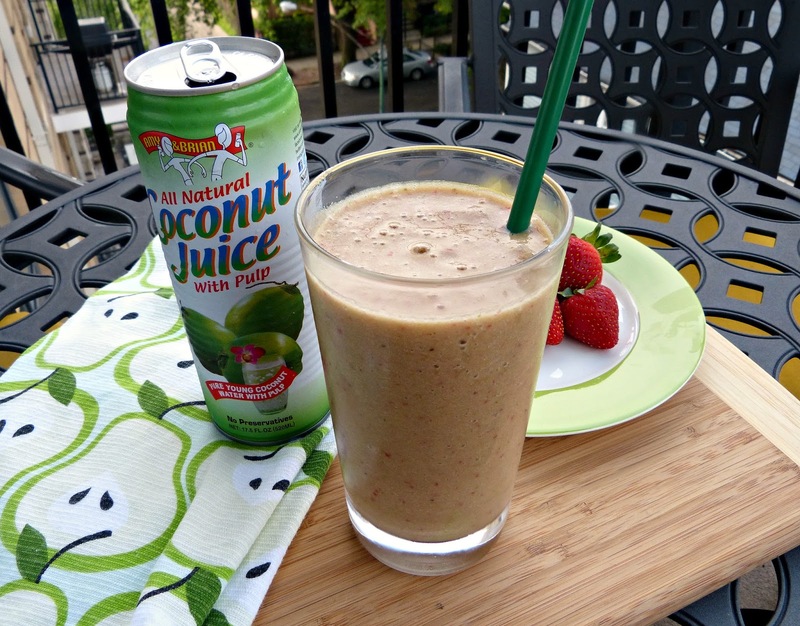 A pulp-free version is also available, but I love the flavor and texture of a little coconut meat in this smoothie! *Note that if you chill and drink later, the smoothie will taste fine but the greens may turn it a slightly less appealing color. Editor's Note: Complimentary samples of Amy & Brian's Coconut Juice were provided to me to facilitate this post. The opinions expressed here, as always, are my own.